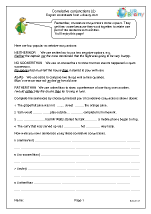 Superbly written worksheets on conjunctions and prepositions have been added to the site. 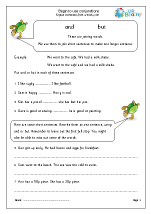 Beginning with simple conjunctions we quickly move on to subordinate conjunctions, suitable for Year 2 or Year 3 children. 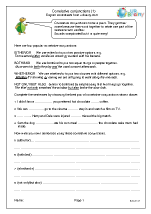 My favourites are conjunctions to show time, using words such as whenever, before, after and while. 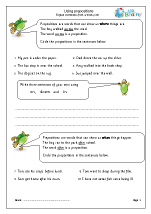 We have also just published two sets of pages on prepositions. 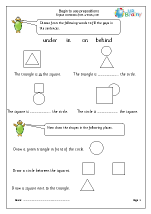 The first looks at prepositions to show place and include some great practical ideas on how these words can be used during P.E. lessons. The second takes a look at prepositions to show where or when things happen, including during, after and before. 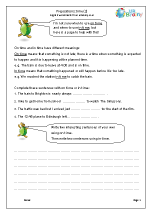 The teaching of this type of formal grammar has become more important with the new English Programme of Study and it may well be that older children who have not been taught these terms before will need to take a quick look at them.